As the nights are draw in, Strictly is the the talk of the town, so the salsa dance floors of the capital become even more popular. 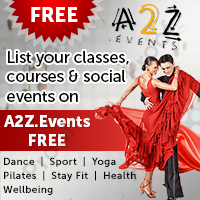 LondonSalsa is a completely free resource for you to find the very best places to learn and to play. We encourage the teachers and promoters to update their free listing regularly - you can see whether you are getting fresh information by scrolling over the event/lesson on site. 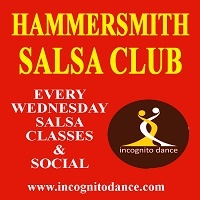 When I first discovered the salsa community, I did so because I wanted to meet some new people and do a bit of exercise. Not only did I succeed but also learned some of the other benefits. So in one hit I had supplemented my social life, got my heart pumping a little bit harder and also found the peace that flows over when in tune with the music and my partner. I share this with you as I know many of you experience the same, so I commend you to do like me and tell others who deserve some hours of happiness. The third Friday of each month is “El Grande” in Kings Cross – a magnet for dancers all over the world, attracting over 1000. A truly good night out for regular salseros, with rooms for salsa, kizomba, cuban and bachata plus a 5am finish. 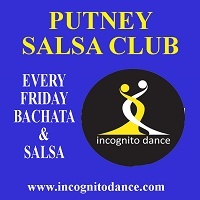 Putney salsa club offer a free bachata lesson before salsa for all levels and their Friday night social. 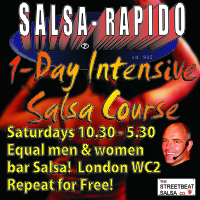 The Salsa Rapido course truly is the Fast 'n Fun way into Salsa - you can claim a £5 off any Saturday course with Street Beat at Bar Salsa in Charing Cross. 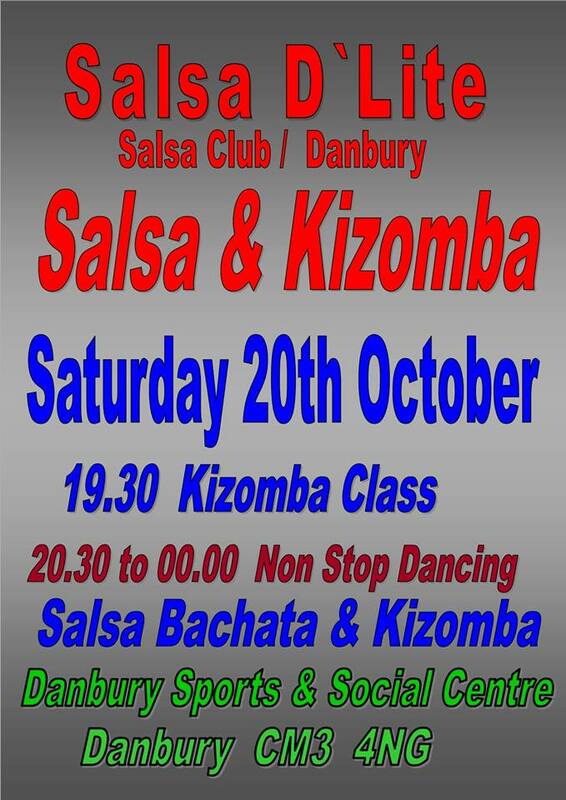 Saturday night in Danbury is a new party night filled with salsa, bachata and kizomba near Chelmsford. Bachata Spice in Kennington offer lessons for all levels and social dancing till 2am. On Sunday members can claim £2 off the live band night in Richmond. Midweek salsa lessons and parties continue to flourish. It is impossible to include all information in this newsletter so encourage you to visit LondonSalsa to find the perfect lessons and workshops for all levels, from beginners to guru. 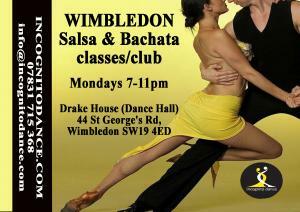 Salsa and bachata lessons for all levels are offered in Wimbledon each Monday. 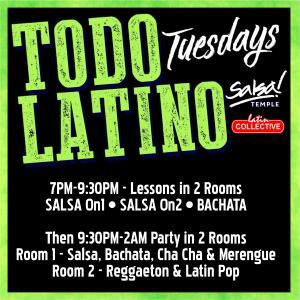 At Bar Salsa Temple, there is a mix of bachata and cali salsa lessons before the late night social. Metrolatina at Bar Salsa in Charing Cross, on Wednesday, starts with a free intro to salsa lesson, followed by lessons at all levels in salsa and bachata. There is a free first timer beginners lesson in Hammersmith on Wednesday, along with multiple levels and a social. NB This Thursday is the monthly salsa social in Holborn with Pexava, their perfect dance floor, top DJs, shows, experienced social dancers and orange wedges to cleanse the palate for the journey home. The long lens sees a Caramelo in Paddington special for halloween, with a social and showcases. 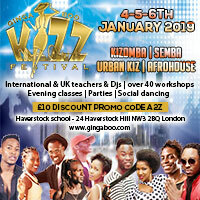 You know we like to highlight great offers - if you love, or want to learn kizomba, then quote A2Z for £10 off the Ginga Boo Kizz Festival in Chalk Farm - Book now and you can take advantage of the early bird offer simultaneously, thus getting the very best price. Like us on Facebook to keep up with our news, updates and other discussions. Follow us on Twitter to stay up to date with company news and other information.